Children today spend over seven hours a day looking at screens and half as much time outside as they did in 1980. The numbers are even worse for adults, and this replacement of time in nature with screen time is having a profound impact on our mental and physical well-being. 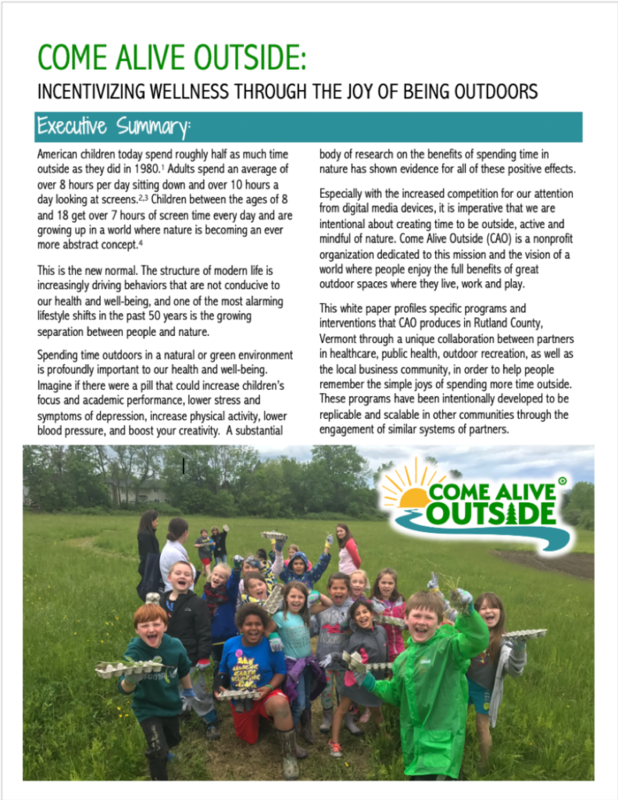 Come Alive Outside is 501c3 nonprofit founded in 2014 that works closely with partners in healthcare, public health, outdoor recreation and the landscape profession in order to get people off the couch and back outside in communities across North America!